The adventure is churning along, taking twice as long to write as a normal adventure (due to the formatting), but I’m half-way to the finish line. 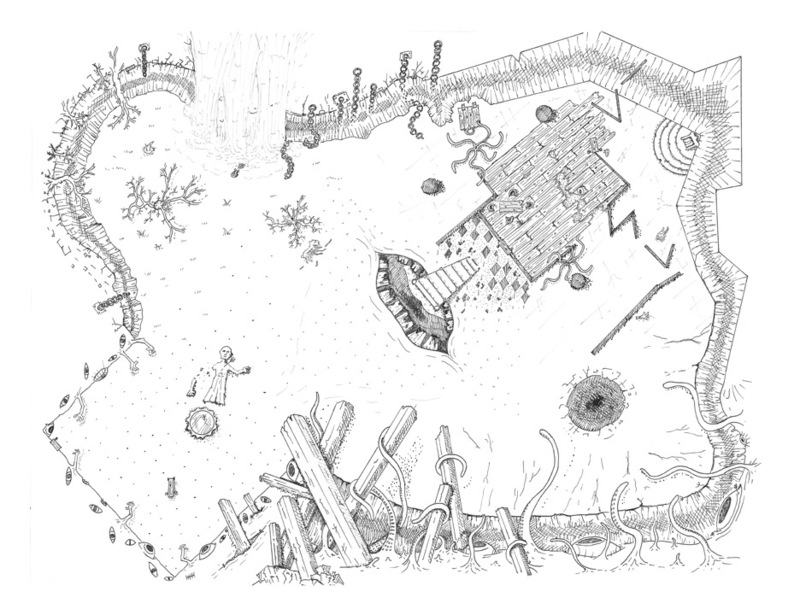 Below is Alyssa Faden’s map of the final room where all the nightmarish things happen. One day I want to color this and print it off battle-mat scale. It would look freakishly awesome.